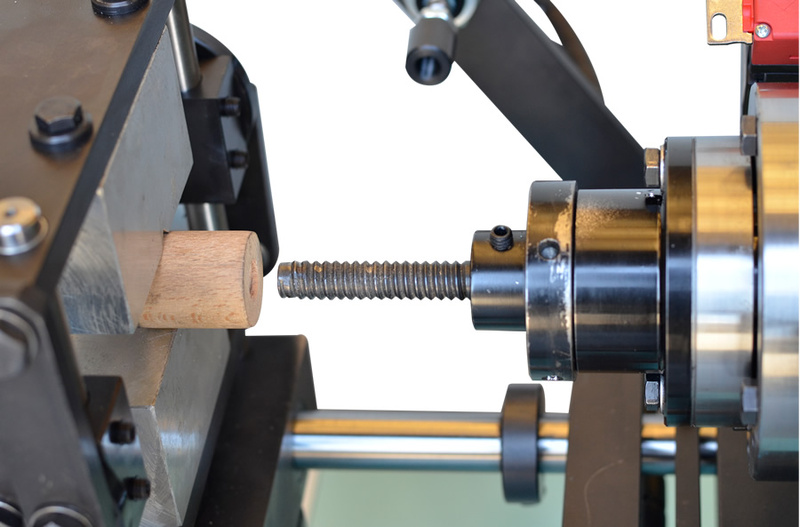 Workpiece under process is blocked through a pneumatic clamping device sliding with manual feed on two guides toward the spindle on which the special tap screw or screw plate tool rotates. 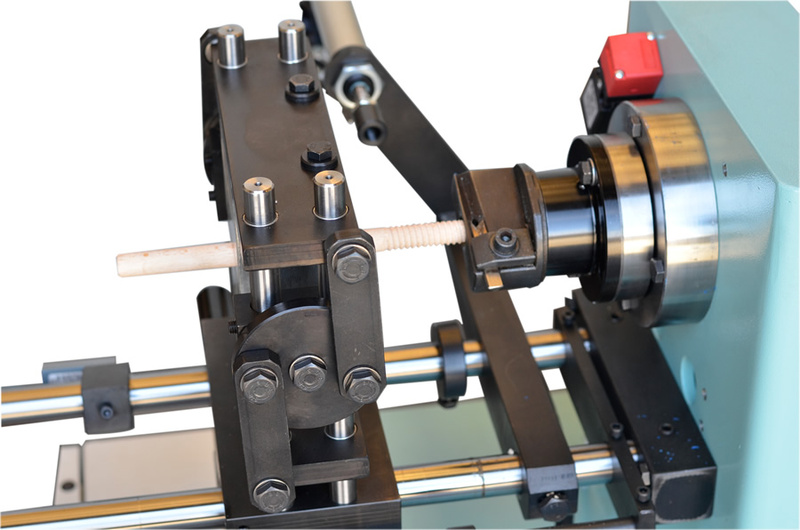 Taper external threads are also possible and machine mounts a specific electric device for automatic tool spindle rotation reverse . Tool must be replaced for each different size or pitch to be manufactured. 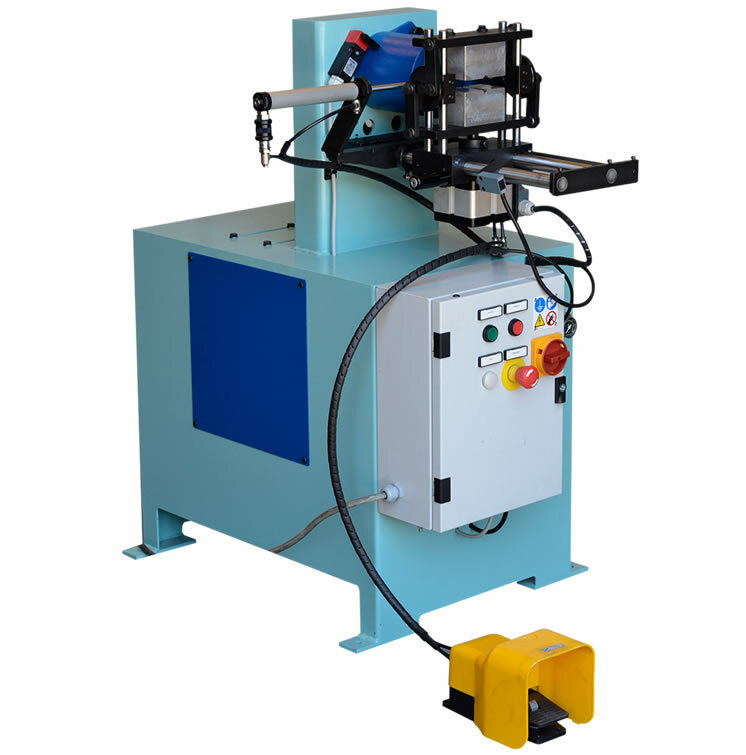 Machine is particularly suitable to produce threads on chairs and furniture components, wooden toys, broom handles, agricultural tool handles or painting handles. Minimum diameter: 12 mm. Motor power: 0,37 Kw.